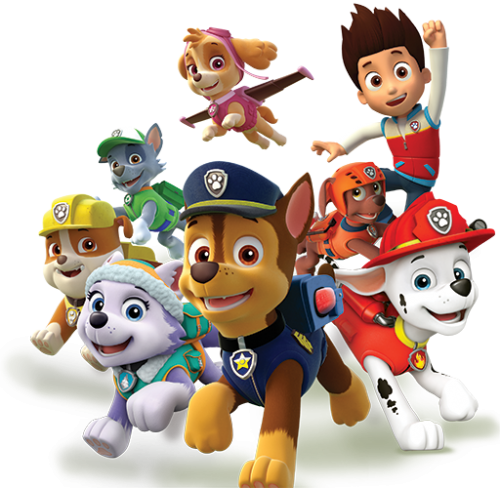 The Paw Patrol pups are ready for action at Sky High on Saturday, 21st and Sunday, 22nd April with a party for all fans aged 5 and under – one at 9am and one at 10am on both days. Give your little pups a special treat! There’ll be prizes for the best costume (fancy dress is optional) and the best bouncer. Free mini slushies for everyone and Paw Patrol cakes. And best of all, three of the Paw Patrol pups will be here to say hello to your little pups and to give them lots of hugs and high fives….cameras at the ready! Tickets are £7.50 per child + accompanying adult. Siblings £5 (5s and unders only). There must be one adult on the trampolines per every two children bouncing. Grip socks essential. And remember, whenever you’re in trouble, just YELP for HELP! Get your tickets now at www.skyhightrampolinepark.co.uk and click ‘book now’ then select ‘parent and toddler sessions’ then select 21st or 22nd April at 9am or 10am! Or just call us on 01273 580029! Please book in advance. 2017’s Paw Patrol toddler events both sold out in advance.